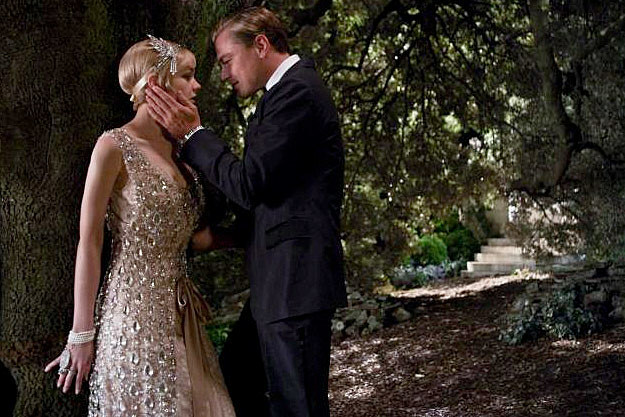 Inspirational 20s...Baz Luhrmann does the Great Gatsby! Welcome back my lovely darlings and a warm Hello to Walking In May's new followers! 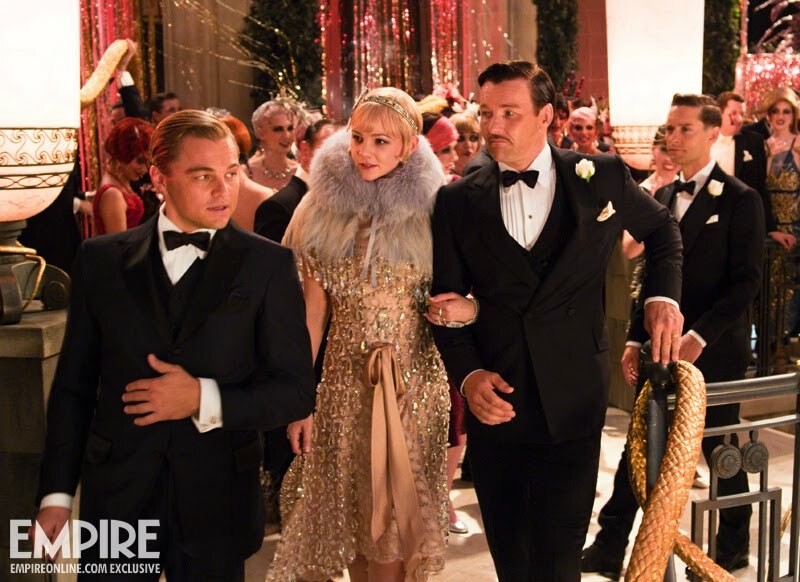 'The Great Gatsby' season is almost upon us...as this coming month of May seems to be filled with not only the release of Baz Luhrmann's latest offering on the big silver screen, there seems to be many Gatsby themed events and parties too! Since knowing that Carey Mulligan will be the leading lady in the Great Gatsby movie, and having absolutely loved her performance in 'The Education', I almost can not wait for its release...even if Leonardo Dicaprio happens not to be my favourite actor. The posters and screen shots released so far have been absolutely dazzling, with costumes as richly made as the decadent 1920s jazz age...and news of Luhrmann researching further to discover more about the book, the author F. Scott Fitzgerald and his famous flapper wife Zelda adds an interesting dimensional perspective to the movie that is yet to be uncovered in other adaptations. So it is not only a movie about the Great Gatsby story, but also what happened in real life because parts of the story as well as some of the characters have been adapted from Zelda's diary. In anticipation of what looks set to be a fabulous feast for the eyes, and a surprising twist of what Luhrmann believes to be still untold within the Great Gatsby...I present to you darlings some beautiful images I found whilst scrolling through the internet from this upcoming movie about the great roaring 1920s! Another bit of excitement I can disclose so far is the celebrations of my birthday this year, which will be utterly Gatsby inspired! From the Great Gatsby themed night at the famous 1920s Candlelight Club party on 11th May...to the Great Gatsby ballet by the Northern Ballet company at Sadler's Wells the following week...plus a little trip to Santiago de Compostela in Spain with my friend Judita towards the end of the month. I have also been working on a little surprise that I can not disclose yet...but fingers crossed it will go well and it is one of the reasons why this week's post is rather short. There will be lots to look forward to in May...now I only need to fit in some Balboa dance lessons somewhere in between...and it could be a very interesting month indeed! I can't wait to tell you lovely darlings all about it...in the meantime, have an utterly fabulous week! Note: Images from this post have been borrowed from other sites and linked back to the source. I am getting so excited about this movie! Thanks for the preview and photos! I cannot wait to see this movie! These photos are great and the trailer enticing. Happy soon to be birthday. Thank you for the Birthday wishes my dear! Simply cannot wait! I'm glad Baz Luhrmann is doing it! It will be an amazing feast for the eyes! Aw, such a wonderful inspiration!! Most welcome my dear! Glad you liked it! Ahhh I have mixed feelings about this film! On one hand I know it will be a masterpiece when it comes to set design and costumes (as all of Baz Luhrman's films are!) I am a little apprehensive about the actors. Like you I'm not a fan of Leonardo either! I feel like there may have been a better, younger choice! I do however look forward to Isla Fischer and Carrey Mulligan's outfits! I know what you mean my dear....and I am sure they will be utterly beautiful! Oh, that is so sweet! How brilliant to collect the t-shirt too! I wonder if they will have vintage inspired memorabilia. ooooh finally the great gatsby!!! i really really can´t wait to see it in the cinema. i already fell for those to die for costumes! so gorgeous! thank you so much for sharing this wonderful pictures with us! You are most welcome and they are indeed beautiful....hope you have been well my darling! Hiya. I would like to see that movie, although I have no idea what's it's about. The Great Gatsby is a novel about a love story in 1920s America and is loosely based on the life of the author as well as his wife...who has been famous as one of the first flapper girls of that time. It's quite a captivating story and describes the 1920s in great detail too....definitely worth reading and watching the film! hope you have been well my dear!